Oh, Radio, Radio, things are not looking out very good for you. Department of Building issued yesterday a partial vacate order because the Borough Commissioner has determined rear music hall unsafe for use/occupancy due to lacking public assembly permit and no sprinkler system or certificate of occupancy on file. We assume that this vacate order applies to the music hall part of Radio's operation and that the bar in the front stays intact. The City may issue a Vacate Order to ensure public safety from damaged buildings, illegal conditions, or dangerous conditions that may exist on or near the property. The amount of time a vacate order is in effect depends on how soon an unsafe condition is corrected. Last week we have informed you that music venue and a bar located on 22 Wyckoff Ave has ran into troubles with its landlord after it failed to obtain necessary paperwork for its operation as a music venue as well as it failed to instal sprinklers and fire alarms, which are required by law. 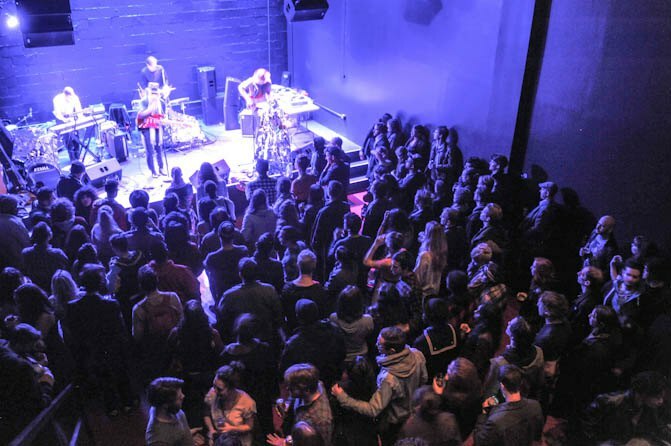 Radio Bushwick was forced to cancel all its CMJ and Halloween shows due to a court's temporary restraining order to stop operating as an "entertainment venue." Radio Bushwick and the landlord, Cayuga Capital Management are in legal dispute currently. “Cayuga Capital were supposed to convert the space from manufacturing to retail and then from retail to bar and restaurant,” Tari Sunkin, the owner of Radio Bushwick told us. “But they didn’t do the work." To force the landlord to do their job, Radio Bushwick stopped paying their rent. Cayuga rejected Radio Bushwick's claims that they have any outstanding obligations from their lease agreement and sued Radio Bushwick for over $100,000 of unpaid rent and expenses “and failure to comply with applicable law including the lease requirements to sign-off her construction job with the DOB,” wrote in an email Cayuga last week. Stay tuned for more updates on Radio Bushwick's future.